Hang on a sec, how the hell are we on Week 9 of the #ItsOK Linky already? Time is flying by! Thanks so much for joining us again. There were some great posts last week. 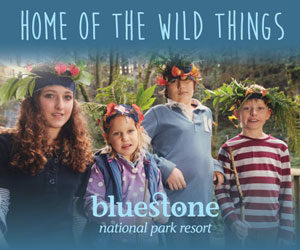 Welcome to those of you who are first-timers too. 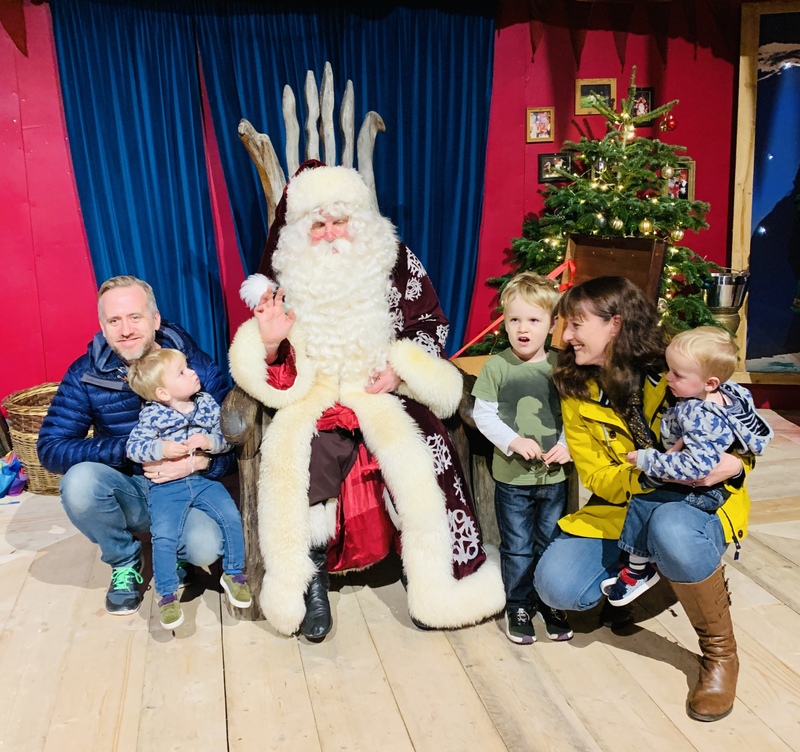 Myself and my fab co-hosts (Kate from The Mum Conundrum, Carly from Mom of Two Little Girls, and Nicole from Tales from Mamaville) all loved reading all your posts from last week and are looking forward to more! So how’s everyone’s week been? 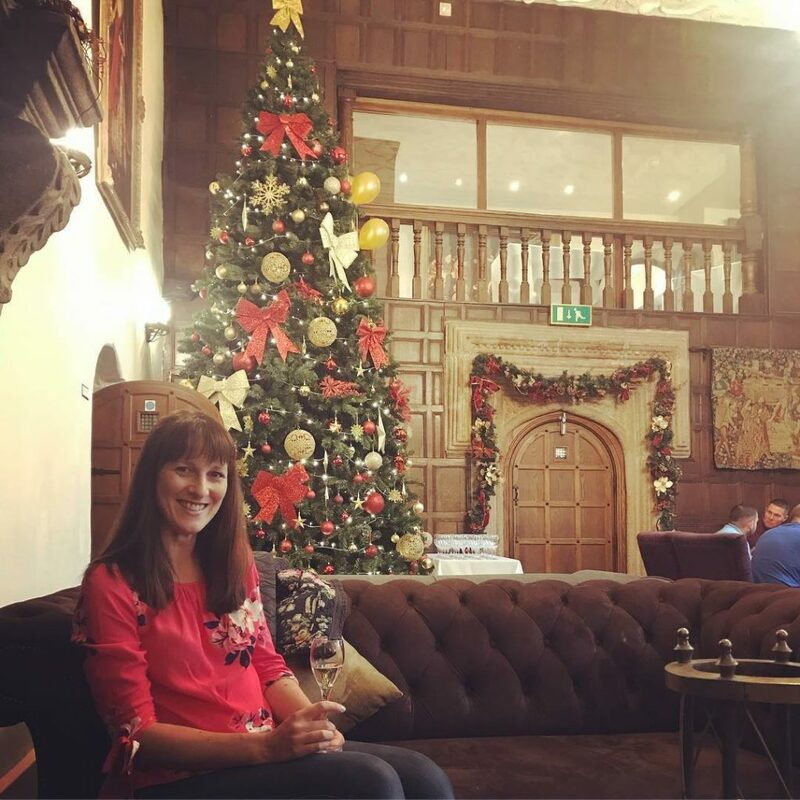 Are you into the Christmas spirit? Judging from my social media feeds the whole world seems to have their tree up already apart from me! I’m still debating how the hell to keep two very inquisitive (pain in the arse) 17 month old twins from wrecking it. 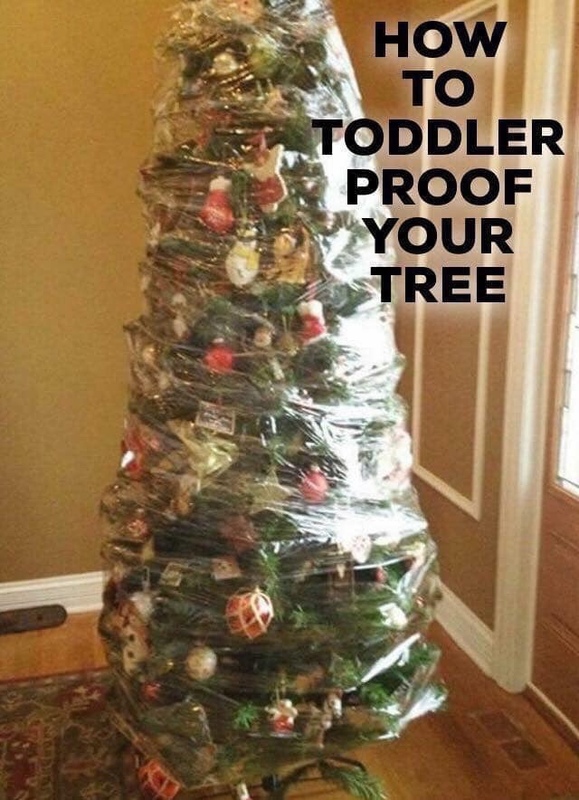 Cling film could be the way forward! Nicole from Tales of Mamaville hosted the linky last week and chose GinGin & Roo’s post It’s Okay to Make Mistakes! as this week’s Featured Blogger. Congratulations lovely lady, you can grab your badge here! 1.) 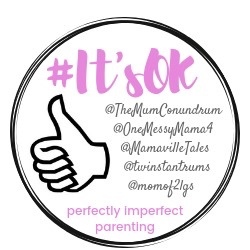 You can add ONE of your posts to the link-up – any post you like, as long as it’s on a real life parenting theme and you haven’t posted it on the #ItsOK linky before. 4.) The linky will run every Tuesday morning at 7am until Thursday evening at 11.55pm. I’m hosting this week so I’ll comment on your post, as well as one of the other hosts, and all four of us will retweet it and share with all our followers. 5.) Tweet us (@twinstantrums @TheMumConundrum @MamavilleTales @momof2lgs ) with the URL to your post. Make sure you include the hashtag #ItsOK so that we know you’re tweeting us your linky post, and not just telling us about your random day… Remember this step – if you don’t tweet us, it’s tricky for us to share. 6.) Kate from The Mum Conundrum is hosting this week so will comment on all your posts, and they will be retweeted and shared on Facebook. 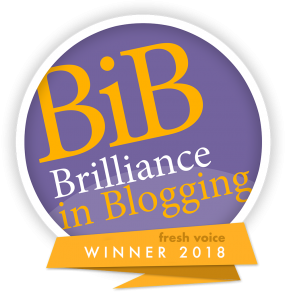 If your post is featured as one of our favourites then you are very welcome to display our lovely ‘#ItsOK Featured Blogger’ badge on your sidebar. 7.) 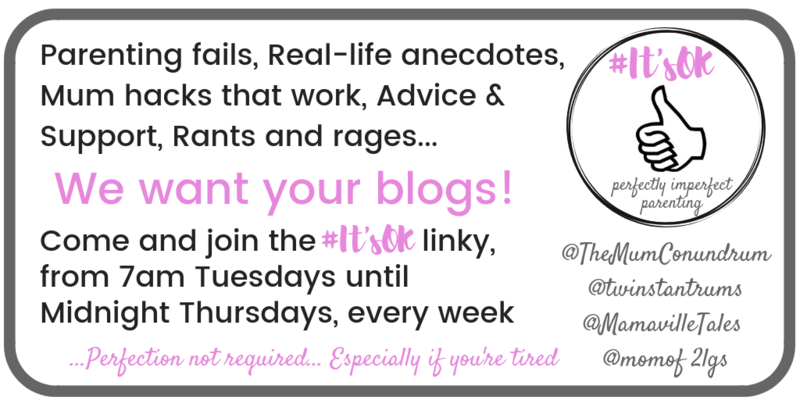 Come and join our lovely Facebook group, and we’ll share your posts on there, as well as on the #ItsOK Facebook page – pop over to like and follow us where we’ll share the best posts from each week’s linky too.